The American Baptist Home Mission Societies is coordinating a comprehensive American Baptist response to the devastating hurricanes in Puerto Rico. Rebuilding, Restoring and Renewing Puerto Rico will be a multi-year initiative consisting of a fund-raising goal of One Million Dollars through One Great Hour of Sharing to provide multi-pronged support to our American Baptist family and others in Puerto Rico. Ms. Victoria Goff, Director of Disaster Response and Development, is ABHMS’ staff lead in developing the coordinated strategy. Victoria will convene a Task Force comprised of diverse American Baptist partners to design and implement the multi-year strategy. The Task Force should include representatives from the American Baptist Churches of Puerto Rico, Region Staff, American Baptist Men, American Baptist Women, ABEC, ABF, Office of the General Secretary, Board of General Ministries, International Ministries, the Latino Caucus, American Baptist Colleges and Seminaries, Chaplains and Pastoral Counselors, Ministers and Missionaries Benefit Board, among others. Vickie and other ABHMS staff will visit the Gulf Coast and Florida next week—then Puerto Rico as soon as possible—to show the support of the American Baptist family. We earnestly solicit your partnership as we undertake the long-term response effort ahead. From Hurricane Katrina and other extreme disasters, we have learned that long after the news reports have ceased, the rebuilding needs will remain. ABHMS has responded to the call and is committed to leading a massive multi-year effort with our American Baptist partners to address the manifold needs that exist in Puerto Rico. Roberto Dieppa-Diaz, Interim Executive Minister of ABC Puerto Rico contacted the Office of The General Secretary of ABCUSA today (September 25, 2017) and wanted to convey their appreciation for all of the prayers and expressions of support they have received since Hurricane Maria devastated their island. Today (9/25/2017), they are holding a meeting to continue the damage assessment process they have undertaken, and have asked that visits by volunteers to the island be delayed at this point until that assessment is complete and conditions on the ground are in better shape. Specifically, the government needs to make the island safer for visitors by clearing roads, restoring electricity, opening ports and ensuring the supply of gasoline. When the Convention’s damage assessment collection is complete, we will receive their report on how to come alongside them in rebuilding the churches, homes and lives of our brothers and sisters, as well as their communities. I assured them of our solidarity, support, prayers and love. At this time, it is vital that our churches across the country prepare for this unprecedented relief effort by making donations to One Great Hour of Sharing. ABCNJ has pledged its solidarity with our national effort and through ABCNJ Disaster Relief Coordinator, Denise Gratzel, we are staying in close contact with Vickie Goff of ABHMS. In the meanwhile, our Denise Gratzel will begin to assemble work teams to stand ready for deployment the moment we are called upon. Everyday we awake, the news bring more unspeakable horror and suffering from the victims of Hurricane Harvey. Words fail to describe what we continue to see unfold. I want to reiterate the unwavering solidarity of ABCNJ with every effort that our national denomination is making in sending aid and relief to the affected people of Texas. Many ABCNJ churches have already responded to the OGHS appeal that have been issued in the region. And many more will respond. That appeal will be sustained through every channel in our communications network. In massive tragedies like these, it is also a sad reality that many unscrupulous people exploit the chaos and the emotions of people who are eager to help. We also have had many unpleasant experiences of the toxic mix of politics and dysfunctional national relief organizations mismanaging vital relief funds that never reach their intended recipients - a breach of trust that tarnishes the profound acts of mercy of many. I will be assuring our ABCNJ churches by emphasizing in the continuing appeals to ABCNJ the historic track record of ABCUSA of being good and faithful stewards of the relief resources that we deploy here and around the world through the One Great Hour of Sharing (OGHS) offering and the work of the World Relief Committee (WRC) of the Board of General Managers (BGM) in overseeing the dispatch of those vital funds. ABCNJ has forged a vital partnership with The American Baptist Home Mission Society (ABHMS) and International Ministries (IM) in disaster relief born out of our joint response to Hurricane Sandy and Typhoon Haiyan in the Philippines. That partnership has deepened through the years and remains strong, personified in the outstanding team of Vickie Goff of ABHMS and Denise Gratzel of ABCNJ. The compassion of Christ is welling up from the hearts of many in our region who yearn to be of help. But we are also aware that organizing our limited resources into a strategic response can multiply its impact manifold. And so I want to assure all of you that ABCNJ stands ready to mobilize when called upon and join our national efforts and ABC regions near Texas in the long rebuilding and rehabilitation phase of this tragedy that lies ahead. Let us continue to lift the people of Texas in our prayers and actions. Recently, while attending one of Governor Christie's Town Hall meetings in Belmar, NJ, I introduced myself to the young lady sitting next to me. As is the case with many folks, her Sandy-damaged home is still in need of repairs. I let her know that a volunteer team from Blue Bell, PA would be here in May and would be able to come alongside her as she prepares to elevate her home with a REMM grant from FEMA and the State of New Jersey. That team of ten wonderful hard workers came and went, leaving hope in her heart. Half of the team worked to get the first floor gutted to the studs and ready for the next stage. The other half of the team went to a home in Brielle, NJ. They spent their week painting the interior of a cute little beach cottage. I am working with our ABC churches and our community partners to welcome our teams for ABCNJ/ABHMS 2014 “Rebuild • Restore • Renew” Work Weeks. I would ask you to prayerfully consider joining us in Manasquan July 12-19 or in the Atlantic City area August 9-16 as we bring physical help and spiritual healing. To register as a group or individual, please follow this link. We have a NEW arrival coming in April; a wonderful addition to aide in Disaster Response. Through grants provided by The American Baptist Home Mission Societies (ABHMS) and First Baptist Church of Manasquan we have purchased a 7x14 utility trailer to support ABCNJ’s Disaster Response Teams. Special thanks to the Missions Team from First Baptist Church of Mt. Holly. 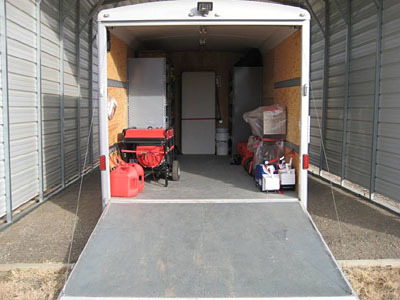 They will be preparing the trailer to store the tools we have already acquired, and to make rooms for needed additions in the future. As American Baptist we will join other denominations to be the Hands and Feet of our Lord. We want to be among the first to arrive to deliver the aid needed to our churches and their communities, and to be ready to be deployed in other emergency situation . The Initial Stage - emergency mode , warmth, provide shelter and tend to health issues. The Renew Stage - opening of Government offices, gas stations and food markets. The Rebuilding Stage - this is where we are in NJ now . It is the most difficult and longest stage. I would love to share with you, minister with you as together we continue to change the lives of those effected by disasters like Superstorm Sandy. August 9-16 – Atlantic City & Wildwood areas. You can register by filling out the registration packet available found at this link. The Philippines is hit by an average of 21 typhoons each year. But when Typhoon Haiyan hit the central Philippines on November 8, 2013 with the strongest destructive cyclonic force ever recorded to hit land, even such a typhoon-jaded country like the Philippines was felled to its knees, and visited upon by a tempest beyond its imagination. By now most of us have seen a photograph or two of the horrific destruction that Typhoon Haiyan has left in its wake, which only belies the massive number of lives lost and upturned, and countless structures demolished in this populous but largely rural and agrarian country. Of note for us here in ABCNJ and ABCUSA is that the megatyphoon entered from the east and plowed through the central part of the Philippines on its way out to the west. Lying on its direct path as it moved westward were the northern provinces of the three major islands of western Visayas, where the historical location of American Baptist missionary work in the Philippines is centered. The vast majority of the churches and institutions of our partner convention there, the Convention of Philippine Baptist Churches, are located in the same region. The day after the typhoon hit, ABCNJ's Council authorized Dr. Lee B. Spitzer, senior regional pastor and executive minister, to mount a regional appeal for CPBC. Many of our ABCNJ churches and individuals have generously responded to the appeal so far. American Baptists, through its One Great Hour of Sharing (OGHS) disaster relief, immediately released an initial amount of funds to assist our partner convention in the emergency phase to purchase essential times like food, fresh water, medicine and temporary shelter materials. This rapid response enabled CPBC to visit stricken areas and deliver assistance almost immediately where safe passage was possible. Due to the limitation of time, I was not able to visit all the provinces where CPBC churches and institutions were affected (and some locations are yet inaccessible even to CPBC staff almost three months after the typhoon), but CPBC staff took me to enough locations that provided a visual overview of the damage in other provinces. The damage to property, loss of life and livelihood that I saw were heartbreaking. But what encouraged me daily was the knowledge that wherever I went, I brought a personal presence to the love and care of American Baptists from across the ocean. Dr. Spitzer and I went to the national office in Valley Forge after I returned, to report my findings and handover data I collected to International Ministries and the World Relief Office. Initial damage findings of CPBC indicate more than 149 churches and 53 parsonages destroyed, and hundreds upon hundreds of member homes damaged and livelihoods disrupted or lost. Filamer Christian University, a major university established by American Baptists which now has more than 4,300 students, sustained 42 million pesos worth of damage. Together with IM and WRO, ABCNJ is now finalizing a strategy to allocate funds for the recovery and rebuilding phase along the priority categories of rebuilding churches and parsonages, schools and institutions, member homes, and restoration of livelihood. In the midst of the loss, grief and destruction, I never heard a single word of bitterness uttered from anyone - even from those who have lost everything. Instead, I was blessed to see dignity in the suffering of the innocent; I was blessed to see the fruit of the Holy Spirit at work as a vibrant community spirit is ignited spontaneously everywhere - people helping people, reaching out to total strangers with the meager resources they have, opening their homes and churches to refugees, consoling each other in the deep fellowship of their faith. While their walls, roofs, chancels, pulpits and pews may have been lost or damaged in the storm, the real church is alive and well! The journey ahead will take a few years, but the partnership between American Baptists and the Convention of Philippine Baptist Churches runs silent, runs deep and is secure in the hands of Christ.Together we will face the promise of God's renewed future with faith and action. A devastating typhoon has hit the Philippines, and early reports indicate widespread destruction and the loss of over one thousand lives. ABCNJ has enjoyed a very positive relationship with the Convention of Philippine Baptist Churches. In the last 2 years, we have led two mission initiatives in this country. The storm passed directly over the part of the country where most of the Philippine Baptist churches serve. I know that you and your ABC church will want to respond to this crisis, and this letter is intended to provide you with guidance on how to do so most effectively. The American Baptist Churches of New Jersey is especially suited to work with you in this crisis, since we have among us many Filipinos, including one of our Associate Regional Pastors (Rev. Dr. Elmo Familiaran) and one of our Council Vice-Presidents (Rev. Felix Tingson). There are two ways you and your church can provide offerings for disaster relief and recovery which benefits the people of the Philippines. This option is good for a general response to the crisis. You can use the ABC missions form to record and designate your gift. Use line “OGH” for this. Emergency aid to ABCNJ related families affected by the storm in the Philippines. 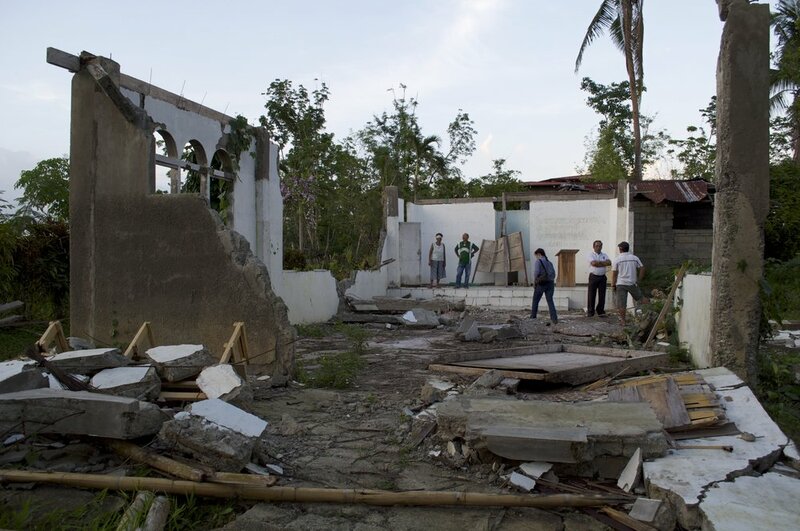 Emergency aid to Philippine Baptist churches that need to rebuild or make repairs, in cooperation with the Convention of Philippine Baptist Churches, our partner in ministry. Financial support for efforts of Philippine Baptist Churches to help their members and community recover from the storm. Church donations to the ABCNJ Philippines Ministries Response Fund can be made using the ABC missions form – or just send your donation to the region office and we will do the paperwork for you. Make checks out to: ABCNJ. Use the line SPECIFICS (SPC) and in the details box write “ABCNJ Philippines Ministries Response Fund.” For individuals, checks should be made out to ABCNJ and write “ABCNJ Philippines Ministries Response Fund” in the memo line. Both church and individual gifts may be sent to the region office. We are asking every ABCNJ church to take a special offering for this purpose before the end of the year. Please do not re-designate offerings for ongoing mission gifts (such as United Mission or Region Offering) for this purpose. Your people will be generous if they are presented the opportunity to give! ABCNJ responded immediately following the storm, assessing damage and needs, providing pastoral support and encouragement, and coordinating relief efforts in concert with our ABC partners. Over 50 churches reported some form of damage, ranging from minor to major. Many of our churches have become mission stations, serving their communities as supply distribution centers, food providers, shelters for the homeless and volunteers, and worship sites for churches that lost their facilities. They are expressing our commitment to following Christ in practical and helpful ways. As of 11/16/2012, ABCNJ has received $70,000 in One Great Hour of Sharing Assistance and an additional $4,385 in direct gifts from ABC of the Northwest (designated for Pastors’ needs), churches and individuals. We have distributed $54,250 in aid so far (more requests come in daily). We have helped 31 ABCNJ churches (and through them, church families and community members) and our Baptist Camp. Specifically, $32,311 has been designated for assisting church members and communities (60%), $15,687 for facility repairs and damage (29%), $4,350 for Pastor relief and assistance (8%), and $1,902 for hosting volunteer groups and open houses for pastors from around the state (3%). Going forward, we anticipate that the bulk of our OGHS need will be focused on ministering to church families and community outreach efforts our churches are engaged in. There is much more to be done! ABCNJ has partnered with a number of ABC regions, and their help is much appreciated. A team from the American Baptist Churches of Pennsylvania and Delaware, led by Executive Minister Frank Frischkorn, did a great job helping to repair damage at Baptist Camp Lebanon. This morning, the DC Emergency Response Team, under the direction of Executive Minister Ricky Creech, completed a week of intense tree cutting and debris clearing work. 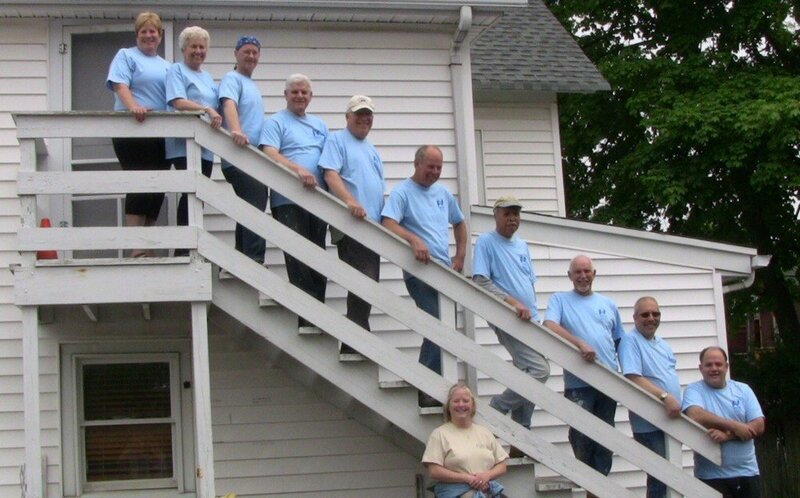 They completed projects at 42 homes and churches, logging 100 volunteer days, 803 volunteer hours and $20,075 of in-kind labor! An ABMen team from the Great Rivers Region is arriving today, and following them, a team from ABMen in New York State will be coming. Assistance and supplies have come in from all over the country from non-ABC sources as well. Continue to encourage donations through One Great Hour of Sharing. All of the impacted regions (and countries) can be helped through OGHS. ABCNJ is able to distribute store gift cards to churches and families. This enables them to buy what they need and supports businesses in our state. The best cards to send us are: home supply stores (Lowes, Home Depot, Sears, WalMart, Target) and grocery stores (Shop-Rite, Acme, Foodtown). Gift card collections can be mailed to ABCNJ, 3752 Nottingham Way, Suite 101, Trenton, NJ 08690. We request that individuals with specialized skills contact the American Baptist Mission Societies’ Volunteers in Mission office. If a church is in the mid-Atlantic area of the country, it may be practical to send a short-term team to do volunteer work. Please email ABCNJ (lspitzer@abcnj.net) and provide full contact information, size of group and work focus. We will share your offer with churches to see if they can accommodate you. You will be responsible for all costs related to your visit. Please understand that hotels are full and it takes a good deal of work to host a volunteer group. For others, we strongly encourage that you consider monetary gifts instead of coming to New Jersey at this point. 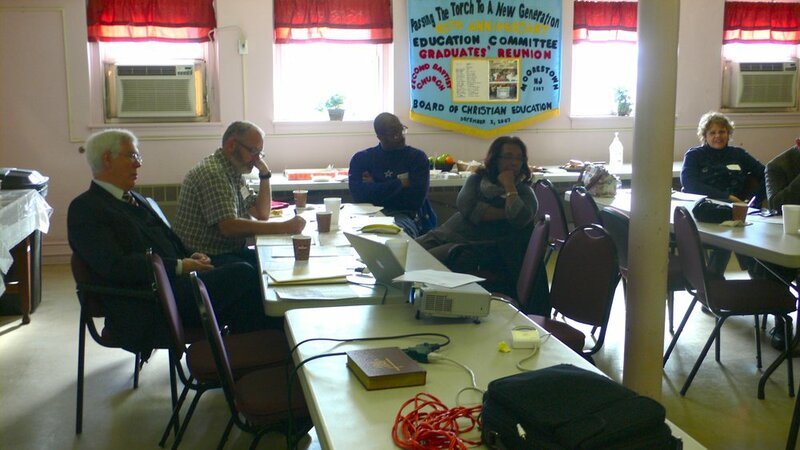 Pastors and churches all over the country have contacted ABCNJ to see if they can create a sister church relationship with a specific impacted church. Most of our churches, through existing relational ties, already have partnerships with other churches. At this point, the region will acknowledge your request and pass it on to our churches for them to consider, but we cannot promise such a relationship will happen. On behalf of the American Baptist Churches of New Jersey, I want to thank the ABC family for the encouragement, love and support we have received from all over the country. This has been a trying time for our state, and the rebuilding effort will take many years to complete, but tremendous progress has already been achieved. The two storms plunged New Jersey and surrounding areas into crisis. Millions lost electrical power, heat, internet, cable TV. High winds knocked down trees and damaged roofs everywhere, sand from our cherished beaches was pushed throughout entire towns, and floodwater damaged countless homes. Gasoline had to be rationed in northern and eastern counties, in large part because service stations had no electrical power. Many people lost everything because their homes were destroyed. In just two weeks, schools have opened, the trains are running, gas rationing has ended, stores have reopened, and most areas have electricity and heat again. I am so proud about how New Jerseyans rose to the challenges we have faced; one sees neighbors helping each other get back on their feet. 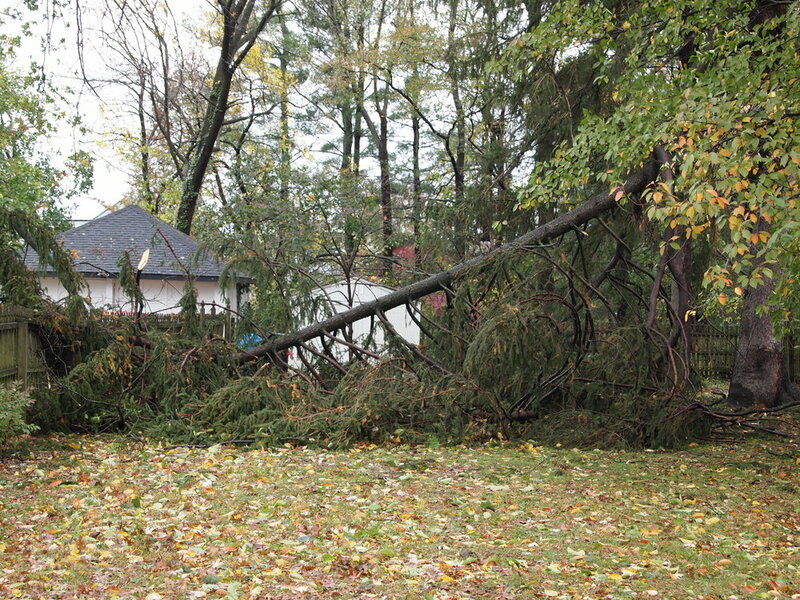 Downed trees are being removed, roofs are being repaired, and roads are being cleared. Here is an idea: help us rebuild by vacationing in New Jersey next summer! The Jersey shore is a magical place where generations of people have cherished memories of special family vacations. Come and enjoy the shore and all of its attractions, and worship in one of our ABCNJ churches. You’ll be most welcome!